A comment on the previous post reminded my of my promise to write on why climbers have a difficult time arguing about things that matter. Notice I said arguing, not agreeing. There are many things related to the sport where agreement is not really feasible, where argument is in fact urgently needed. Yet when controversy emerges, it is remarkable how quickly things degenerate into ad hominem attacks, misleading analogies, and assertions unbacked by evidence. The comment took me to task about calling my blog journalism when in his view journalism was something else. I have dealt with this kind of comment before, though at least that one was not anonymous. It struck me as peculiar that someone describing himself as a writer would critique my writing as an "insult to real journalists everywhere" while not identifying himself fully and giving some good counter-examples that would illustrate his point. So I said so and probably heaped it on too much. I won't say my response was totally unjustified but on reflection I could have been gentler. So why did I go off on this one when I should have known better? Was there something particularly irritating about this comment? I realized that what I find most troubling about comments like that one is not that they disagree with me or even that they call into question my identity as a writer or even insult me personally. What is most troubling is the lack of consistency and coherence, the absence of serious engagement with the actual issues or facts at hand. Is it just the Internet or is it a deeper cultural phenomenon? I don't know but in the world of climbing it can have important side-effects. Adam Roy, climbing blogger for Outside Online, wrote recently about Ashima Shiraishi, in a post entitled "The Strongest Woman in Climbing is 10 Years Old." Now it's a little subtle, but note the URL for the post reads "http://www.outsideonline.com/blog/outdoor-adventure/a-10-year-old-climbs-v13-and-the-haters-keep-hating.html." (Maybe this should be its own domain: "www.thehaterskeephating.com") (See comment below from Adam Roy for his response which makes sense in retrospect) Anyway, Roy appeared to be taking issue with the suggestion by Jens Larssen at 8a.nu (and others) that in some way the Hueco Tanks V13 Crown of Aragorn was not V13 for her owing to her size and that we may need to reconsider grades in the light of this and other ascents by very young climbers. Roy writes,"The idea that if a girl does a hard climb, it must be because she has some natural advantage—not because she's good, or trained hard—is more than a little chauvinistic." He continues, "But even if it's true, it just doesn't apply here. The climbs Shiraishi has done aren't hard for adults, or hard for men. They're just hard." So let's take this apart. Apparently the suggestion that a certain type of climb might be better suited to someone with small fingers is chauvinistic. I didn't see anywhere that Jens or anyone else suggested that Ashima is not a good climber or that she does not train hard. It's obvious that she is a great climber and clearly works hard. What I saw is actually a very reasonable proposition that we may need to rethink what constitutes difficulty as a new population encounters an older climbing culture. But in the following passage, things get a bit incoherent which is what I am most concerned about because this is actually important. Roy writes "Even if it's true, it just doesn't apply here." Why? Because Ashima's climbs are "just hard." Full stop. At this point we should consider the possibility that there is no such thing as a climb that is "just hard." All climbs are hard or less hard relative to the person trying them, based on a wide range of factors. The grade of a climb is never eternally fixed and in fact there are numerous routes and boulder problems that have grades reflecting this, especially regarding body size, what the French refer to as "morpho." Given that Crown of Aragorn has maybe four moves into a hard V8, any advantages or disadvantages related to hold size or beta are going to be magnified considerably. To state that, "At 10 years old, she climbed a problem that's turned away adult professional climbers. No amount of rationalization or arguing can change that" is on the face of it correct but it doesn't explain why those "adult professional climbers" were turned away, which is the interesting part. Was it that these "professional climbers" were not good enough climbers? Or is there something else? Which brings me back to that URL. "haterskeephating.html" Why would it be "hating" to ask about how a young climber would be able to ascend a problem with such a reputation and a relatively high grade so quickly and with relatively little experience in the grades just below? Obviously Ashima is a remarkable talent. But can it seriously be said that a small light 10-year old girl and a six-foot adult male are doing the same thing, even on the same problem? Nobody would say that women's and men's gymnastics are the same thing, for example. A serious consideration of this ascent has to ask these questions as they go right to the heart of the system that climbing has used up to now for evaluating the significance of achievements. In other words do grades really signify anything and if they do, what exactly do they or can they measure? Bringing this post back to its main focus, the issue of arguing constructively, can climbers cultivate an environment of argument and discussion on these central issues without being derided as haters or chauvinists? I would like to think that they can but only if writers across the spectrum can agree that we ought to dig deeper beneath the surface of events and actions. Again Ashima's ascents in Hueco are amazing and point to greater things to come. 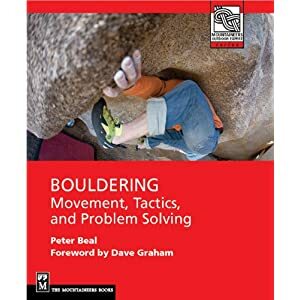 But they also highlight weaknesses and inconsistencies in our ideas of difficulty and grading in rock climbing, something which may be one of her more important contributions to the sport, even at the tender age of 10. "All climbs are hard or less hard relative to the person trying them"
they are hard relative to the human race, ie what % of the climbing population can climb them. crown of aragorn is v13, even if personally easier for ashima, because 10 year old accomplished climbers are a rare occurrence. But if in the next years talented young climbers become the norm, and they all send this problem relatively fast, then we'll say that it's a v10 that's very hard for full grown adults. This is reasonable, and I think the discussion regarding the subjective nature of grading is one that should happen (and be a reasonable, level-headed discussion). But...many people are haters because a ten year old succeeded on their project. So, there's a fine line between a reasonable discussion and "hating" on the success of others. While many climbers are supportive of others' success, others aren't (I speak from the experience of my younger days). So, here's the flip side of the argument, perhaps: is it unreasonable to say that something like Hale-Bopp in Bleu is harder than 7c(-ish) for Ashima because she is so short? I suspect we're more comfortable with the claim that something is harder because of physical traits (height, finger size, weight), but we tend to assume the worst at the suggestion that a move/problem might be easier. bmj, I agree we all like to give ourselves the benefit of the doubt and call things harder because of factor X. Hale-Bopp might well be impossible for Ashima but is there an 8b at Font that might suit her well? Probably. I want to suggest that there could be more than mean-spiritedness in wondering about the "V13ness" of her ascent. In fact it could lead to a productive discussion of what any of these grades are really worth. Peter, I totally agree--the Outside article is just trolling with that title. We need to be able to have a discussion without calling each other names (if that discussion is reasonable). One could have the same discussion regarding the recent youth send-train on "God's Own Stone" at RRG... the bottom line is that grades really are, as the tired refrain goes, subjective. None of us will ever know how hard Crown was for Ashima, except her. C'est la vie. I find it interesting that Crown of Aragorn ends on Better Eat Your Wheaties. Sherman originally rated that V9. When Bobbi Bensman did it, he immediately downgraded it. I think the same thing is happening here. While I agree that the grading scale is horrific (El Burro in Hueco comes to mind, I've seen V10 climbers struggle on that V3), there has been a lot of belly aching concerning Ashima's ascents. Perhaps with children doing climbs that are hard for adults, relatively quickly, we can start to build some metrics in which to build a grading system against. Peter, I think another example of this is the recent number of sends of God's Own Stone 14a at the Red River Gorge by 10 to 12 yr olds. The climb is mainly a V10 small crimp crux for most surrounded by moderate upper 12 climbing. Suddenly all of these tweens are climbing it, as their hardest send to date, but there must be a reason that people with smaller fingers do well on the climb. I have always found grading in climbing to be a kind of hilarious pastime. It is so subjective, and everybody agrees on this point, but then people continue to try and put a single number on the difficulty of their climbs. Sure, some climbs are much harder than others and should be recognized as such, but many other sports deal with this concept without numbers. I don't do a lot of skiing, but I'm pretty sure there aren't people sitting at the bottom of a new run arguing about whether that was a ski-12 or a ski-13a. Mountain bikers and kayakers will give a trail or a rapid a general difficulty or class, and leave it at that. I think somebody should put together a new guidebook without specific grades and see how that goes. Just rate all the climbs in Boulder canyon as "beginner", "advanced", "expert" or "elite". That's enough information to give you an idea of what you're getting yourself into, and any more information than that should be specific to the climb. You wonder why people have a negative reaction to your writing. I can provide at least one perspective. You write, quite often in my experience of reading you, about the concept of what is "important" or things that "matter", where the definition is apparently whatever is important or matters TO YOU. This is rock climbing, not cutting edge science, agriculture, or medical research. The idea that climbing "matters" at all is laughable. Further, when you attempt to paint in broad strokes about media, blogs, etc as not taking on these titantic, IMPORTANT topics where presumably you do, it's just ridiculous ego on display. Combine that with the overly verbose, whiny, constipated voice of your writing and my reaction is not positive. Naturally, this is just my opinion. I don't know you, and it isn't intended as a comment on your character, just the voice of your writing. On the topic at hand, I disagree that there are no "just hard" climbs, which presumably means hard for everyone regardless their particular body dimensions. 5.13 and up slabs are a candidate for "just hard". The point being that one particular body part size won't make much difference on this style, where by contrast a 65lb 10 year old girl with little fingers that make my quarter pad crimpers into second knuckle jugs is having a signficantly different experience on steep edges. Thanks for basically illustrating my point. I am curious why you didn't post my previous comment about children sending God's Own Stone 14a at the Red River Gorge recently. "Peter, I think another example of this is the recent number of sends of God's Own Stone 14a at the Red River Gorge by 10 to 12 yr olds. The climb is mainly a V10 small crimp crux for most surrounded by moderate upper 12 climbing. Suddenly all of these tweens are climbing it, as their hardest send to date, but there must be a reason that people with smaller fingers do well on the climb." I would agree with this. It is amazing to see quick repeats by kids on this and other RRG routes but it seems they are well suited to each other. I know if I was trying a 14a in the RRG, that's the route I would choose! This is our craft, what we love to do! I don't see why we can't pull together as a collective and ask these questions. We all know the earth is round. Some leave it at that but others would like to how its diameter or exact spherical shape. No harm in this. Years ago I had a much different feel/ thought about the climbing community. As it grows, I don't enjoy the direction I see it heading. Ashima and all these other young kids are clearly extremely talented and are benefiting from growing up in an era where climbing gyms and teams are available to them at a young age. I'm assuming some people say that Ashima's ascent isn't V13 because she didn't use the "conventional" beta. Well, if those other people think that her beta is easier, than they should try it and see if Ashima's beta makes it easier. I'll speculate and say that Ashima's beta won't be easier for most people. So, it may turn out that on this climb, people with drastically different body types use drastically different beta. I wouldn't be surprised if for Ashima, a very reachy V10 feels harder than the V13 she did. It happens to everyone. Which means the grading scale doesn't always translate for every person. Imagine another extreme but seemingly plausible example. Let's say there is a boulder with a featureless face and the top is 11 feet off the deck. Well, I doubt Ashima or anyone who cannot easily dunk a basketball would be able to do that problem. So for an NBA player, it would be a flashable problem. For many of the strongest climbers today, it would be Vimpossible. I think every problem's grade falls on one's personal spectrum of difficulty. For many, even the vast majority, of problems there is a close consensus. But there are obviously outliers where a problems grade may lie in a different place on your personal spectrum. The biggest issue I have with the outside article is the title. Ashima is girl. Not a woman. The author spends plenty of time comparing her to adult male climbers. The way I see it though Ashima has advantages over many female climbers, especially those that are past puberty. At the end the author brings up the point that Chris Sharma continues to improve as he ages. This is supposed suggest that Ashima will as well. This may be the case and Ashima may be the first female to climb 8C+. However I'm going to go out on a limb and bet that when she hits puberty her body is going to change in ways that Chris Sharma's didn't. I'm a little late to the party, but I can clear up at least one misunderstanding in your post. The "haters keep hating" in the URL was a working title that I ditched because it wasn't what I wanted to express. It's in the URL because I didn't notice it until I had published the blog post, not because I was secretly trying to insert some kind of subliminal screw-you to people who disagree with me. I think you're reading way too much into it. Thanks Adam for the update! I wish you had commented earlier. I will update in the body of the blog.